10 December 2018, The U.S. Kaolin Market size valued at USD 1.29 billion in 2016 is anticipated to be driven by the growing consumption of cement, fiberglass, plastics, paints, and adhesives in numerous end-use sectors including construction and automobile. Rising infrastructure spending coupled with the increasing automobile production is expected to propel growth. Kaolin is used in a variety of products that are utilized in the construction industry including cement, paints, adhesives, plastics, rubber, ceramics, and fiberglass. The penetration for kaolin in these applications has been increasing as they are not only effective in bringing down the overall cost of the final product, but they also increase the durability of the base material. Fiberglass is used mesh fabrics, self-adhesive tapes, and wall covering owing to its ability to add strength and resistance to impact and fire. Fiberglass in the form of GFRP composites is used in a wide range of end-use sectors including wind energy, transportation, aerospace, marine, and civil construction. The growth of these end-use sectors on account of improving economic conditions in the country is anticipated to drive the demand for fiberglass, and in turn, the kaolin market. Fiberglass market is estimated to generate revenues worth USD 549.1 million by 2025. Technological advancements in the process of manufacturing plastics have resulted in the incorporation of numerous additives including fillers such as kaolin. Increasing production of plastics is expected to augment the demand for kaolin over the forecast period. The segment is projected to grow at a volume CAGR of 5.3% over the projected period. 5 December 2018, Traditional advertisement has taken a back seat to make way for novel technologies like interactive ads on mobile phones, websites, and digital billboards. Digital signage systems encompass digital devices that can display information or content. The Digital Signage Market is predicted to reach revenues worth USD 20.1 billion by 2020, as per a report by Hexa Research. It was worth around USD 13.3 billion in 2013. The market will display 6.1% CAGR from 2014 to 2020. Factors like improved user experience, decreasing prices of display panels, and cost-effective promotion should positively impact the market. The digital signage market is divided on the basis of technologies, applications, and geographies. Technologies like LCD, LED, and front projection are expected to propel the market. LCD had lion’s share in 2013, and accounted for more than 50% of the global revenues that year. LED will be adopted in the near future for saving energy. The market finds applications in banking, healthcare, education, retail, and transportation. Companies utilize point-of-sales (POS), point of transit (POT), point of purchase, and infotainment to entice consumers. Retail had more than 40% share in 2013 and would dominate the digital signage market over the next six years. The sector of healthcare has utilized digital signage to provide registration information on cell phones, tips on better health, and guidance to visitors. Geographies wise, North America captured more than 35% of the total demand in 2013. It will face increased demand from various sectors owing to advanced infrastructure and technology. Asia Pacific has the highest potential on account of decreasing prices of LCDs and favorable regional conditions. The worldwide digital signage market includes major players in Nippon Telegraph and Telephone (NTT) Corporation, Microsoft Corporation, Cisco Systems Inc., and LG Electronics. It is expanding swiftly due to product developments and technological advancements by its players. 29 November 2018, The Global Pressure Sensitive Tape Market is expected to grow at a CAGR of over 6% and reach close to 69 billion during the forecast period (2016 to 2024). Increasing demand in the packaging of the corrugated box packaging of food & beverages is likely to boost market growth in the coming years. These tapes are vastly use in the construction of tunnels, bridges, roofing, cladding, glazing, water supply, and air conditioning can promote the growth and expansion of the industry. Use of biodegradable material for the manufacturing of these pressure sensitive tapes can fuel market growth during the forecast period. Moreover, superior features like easy handling and processing is likely to stimulate industrial development. Development of newer specialty electrically conductive adhesive tapes for telecommunications equipment can exhibit immense potential in the coming seven years. The pressure sensitive tape market is divided into applications, backing material, product, and geographies. On the basis of applications, the market is split into automotive, building & construction, electrical & electronics, health & hygiene, packaging, and others. Packaging held the largest segment in 2015. It is expected to continue an upward trend, owing to its low carbon footprint and biodegradability. Backing material comprise of polypropylene, paper, PVC, and others. Polypropylene can witness rapid growth at over 6% CAGR till 2024. The growth can be attributed to his cost efficiency, high-tear resistance in mid-direction & cross-direction, and well balance technology. PVC is likely to show a considerable growth due to its eco-friendly properties. Products encompass carton sealing tape, double-sided tape, electrical tape, masking tape, and others. Cartons sealing tape held over 60% of global volume share in 2014. The growth can be attributed to the recyclability and reusability. Double sided tape is likely to exhibit a growth till 2024. 28 November 2018, The global Automotive Suspension Market is expected to reach USD 104.32 billion by 2024, driven by the increasing annual production of light commercial vehicles, medium & heavy duty commercial vehicles, and passenger cars. In addition, need for a lightweight suspension system for vehicle stability, comfort and safety is anticipated to boost the market over the forecast period. Asia Pacific was the largest market accounting for 36.2% of the revenue share in the year 2016 and is expected to maintain its dominance owing to growing automobile industry in India and China. North America and Europe followed suit. Rise in disposable income in developing nations such as China and India is expected to fuel the growth of air suspension in the region. Uncertain road conditions in countries such as India has increased the market for replacements which is expected to drive the market in the region. Air suspension is expected to grow at the fastest CAGR over the forecast period. Furthermore, the passenger vehicle segment is expected to grow with significant CAGR compared to light commercial vehicles and heavy commercial vehicles. Consumer perception of having a personal car is expected to fuel the market for automobiles which is the only end use of suspension systems. Focus on a safe and smooth ride with minimal vibrations for the driver as well as passengers are key reasons which have changed the scenario for automotive suspension market. Increasing focus on research and development by automotive suspension manufacturers is expected to fuel the market over the forecast period. Companies are concentrating on developing advanced suspension systems which will provide a luxury driving experience which will boost the market over the forecast period. Technological advancements in the automotive suspension industry are expected to fuel the market on a global level. For instance, Tenneco Inc is involved in providing light weight suspensions for vehicles which help in reducing emissions and increase aerodynamic properties of the vehicle. However, stringent vehicle standards such as fuel efficiency and pollution norms are forcing the suspension manufacturers to modify existing products or manufacture new products. Additionally, the high cost of advanced suspension systems is expected to hamper the growth of the market. 22 November 2018, The Global 4K Camera Market is expected to grow at a healthy CAGR of over 20 % during 2016 to 2024 (forecast period). The same will be credited to its multiple applications in consumer electronics, entertainment, and education industries. Additionally, high quality videos & images offered by these cameras can drive the overall industry. 4K cameras provide a resolution that is four times higher than standard/HD (high definition) ones. The industry can drive ‘4K camera’ changes along with ‘broadcasting system’ innovations. 4K technology is likely to render a mark in various ‘digital media’ segments, such as TV screens and digital cameras. 4K advancements coupled with escalating demand for ‘high resolution’ images should augment market demand. Additionally, the acquisition of 4K devices is anticipated to be mandatory for new devices in the next eight years. 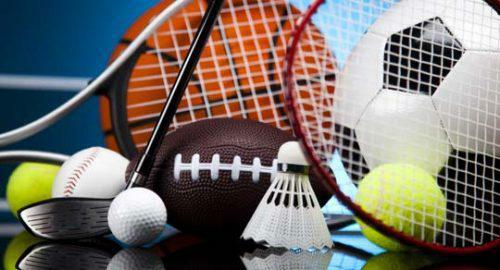 These novel devices play a significant role in sports; like tennis, cricket, football, etc. The introduction of ‘mirror-less’ ultra HD cameras will provide users with better focusing systems and more compact size. Bigger sensors offered by such cameras can positively impact the overall industry Also, the flexibility of interchangeable lenses should boost market incomes. The worldwide industry is categorized as per applications and regions. Applications comprise defense & aerospace, entertainment, consumer electronics, retail & advertisement, and education & business. Various ad agencies are estimated to use 4K camera devices to promote their products and attain greater industry traction. 4K cameras have witnessed significant consumption from the education and business industries. Another key application of these cameras is medical. Medical applications require ‘high-resolution’ to make right decisions concerning the patients. The adoption of ‘high-resolution’ cameras during surgeries is the key to getting clearer body images and ensuring effective medical procedures. Geographically, the Asia-Pacific 4K camera market size would experience substantial growth till 2024. This may be ascribed to rising usage of 4K devices in the region. Various factors in North America like increasing population, high consumer disposable earnings, and demand for high-resolution images & videos are predicted to propel regional sales. This will be true specifically regarding the U. S. and Canada. European nations such as the Netherlands, Germany, Switzerland, etc. could also face higher demand. Developing economies like India & some others are estimated to observe huge demand for 4K cameras in the near future. 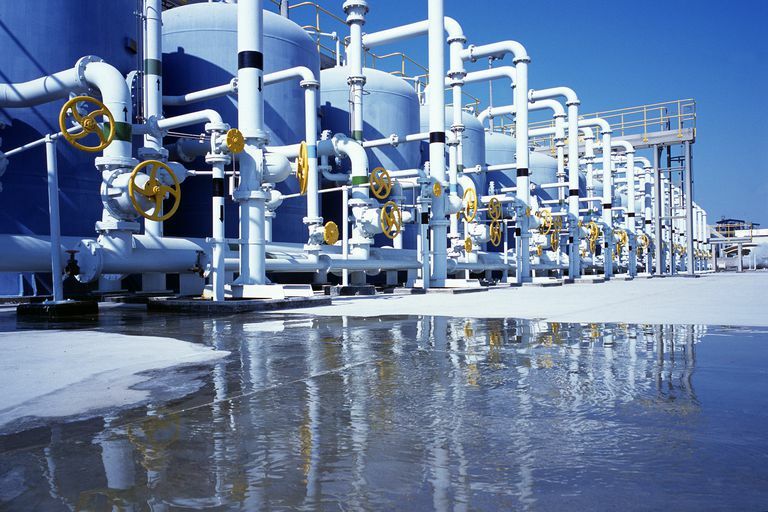 22 November 2018, The Global Water Desalination Market is set to reach USD 26.81 billion by 2025, primarily driven by rapid industrialization, increasing population, and depleting freshwater bodies. Moreover, increasing public awareness regarding water conservation and strict government laws on treatment is expected to fuel growth. Seawater contributed to 58.2% of the revenue share in 2016, making it the largest and the trend is expected to continue over the projected period. Rapid industrialization and substantial investments regarding desalination in the Middle East is anticipated to drive the global market over the next few years. Companies are investing extensively in R&D to enhance technology. For instance, in April 2014, GE Corporation launched an open technology challenge to accelerate the development of technology to improve the efficiency of seawater desalination. In addition to this, the companies are concentrating on new projects. For instance, in November 2014, Suez announced construction, design and operation of a desalination plant at new Mirfa Independent Water and Power Project in Abu Dhabi. Furthermore, Veolia has developed itself in both Multiple Effect Distillation and Reverse Osmosis to offer energy-efficient hybrid desalination technology to mark its presence in global market. 21 November 2018, The global Graphite Electrode Market is expected to reach USD 5.68 billion by 2024 and is expected to grow on account of its increasing use for production of steel. Asia Pacific emerged as the fastest growing market and is projected to continue dominating as a result of the presence of robust steel manufacturers. 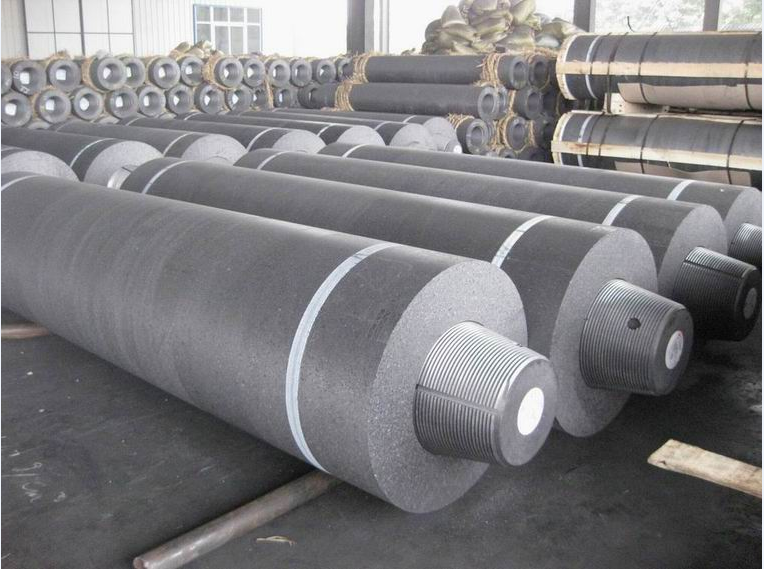 The usage of graphite electrode has increased due to rigorous competition in the steel industry. Rapid steel production and increasing spending on infrastructure in developing economies across the globe are expected to boost the demand for high-grade steel that is manufactured using electric arc furnaces (EAF). Adoption of advanced technology for steel production with the purpose of saving time and energy is expected to augment the demand for graphite electrodes. The demand for electric arc furnace is expected to grow significantly as it offers several advantages such as production flexibility and low CO2 emission. It also saves raw material and energy due to its efficiency. The segment is likely to grow at a 4.1% CAGR over the projected period. Graphite electrodes offer excellent thermal resistance and high current carrying capacity which makes them a suitable choice in electric arc furnaces (EAF) steel, refinement of steel and similar smelting processes. Besides EAF and LF, graphite electrodes are also used for electrolytic aluminum smelting and electrical discharge machining (EDM). The development of these non-steel applications is also anticipated to provide an opportunity for market growth over the forecast period. 21 November 2018, The Global Sports Software Market is estimated to reach USD 10.31 billion by 2024. The market is expected to grow rapidly during the forecast period, as companies in the sports industry are facing a cut-throat competition to host events internationally to boost their profit. Sports software helps organizers to automate their administrative work and manage players by offering a broad range of features such as ease of learning, user-friendly, advanced games management technology. Sport management software saves time, increase funds, and reduces the errors coupled with rising demand for automation is anticipated to boost the growth of the market during the forecast period. The sports software industry is expected to grow at a CAGR of 13.1% from 2017 to 2024. North America led the sports software market in 2016 with a market share of 55.2% and is expected to continue its dominant trend during the forecast period as well. The demand for this technology has been increasing owing to the rising need to better manage the performance of the industry including clubs, leagues, and association. In 2016, the cloud-based technology was the largest and is expected to continue its dominance over the next seven years as consumers prefer downloading sports apps through the internet which provides high flexibility to the companies using the cloud model. On the other hand, on-premise technology is expected to grow at a slower pace at a CAGR of over 12% owing to its access to a limited audience. 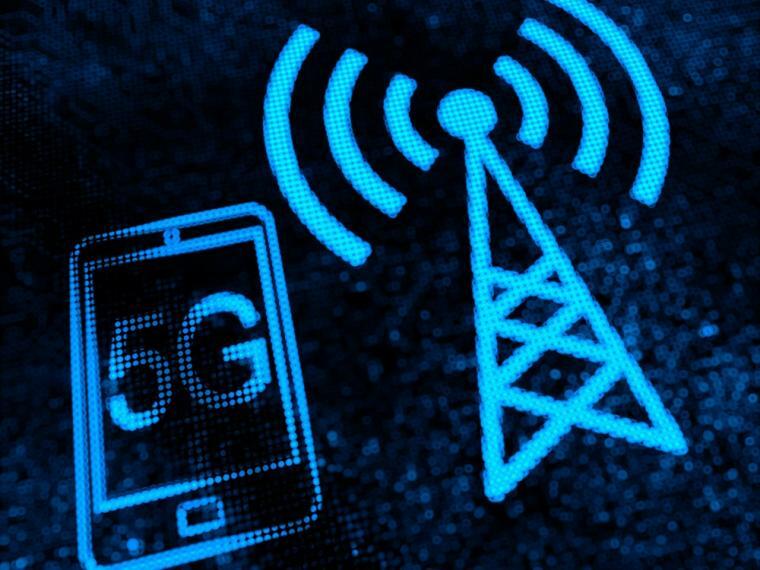 19 November 2018,The Global 5G Technology Market is expected to witness significant growth over from 2016 to 2024 (forecast period). Rising worldwide adoption of internet-enabled devices will drive the industry. Mobile service providers believe that 5G services will be rolled out by 2020 to meet customer and business demands. Surging demand for extensive network coverage and high speed internet from various industry applications will propel market growth. These include autonomous driving, distant learning, video conferencing & multi-user gaming, telemedicine, and opera live streaming. 5G technology will improve mobile network performance capabilities to a marked extent. It can also play a key role in establishing foundational infrastructure. Furthermore, increasing mobile broadband adoption and machine-to-machine communication in companies will fuel industry growth. High rates of data transfer along with low power consumption will also exhibit a positive impact.. Popularity of high-speed internet for enhanced real-time response will propel the global 5G technology industry in the years to come. However, the dependence of this technology on other technologies, such as millimeter wave propagation and IPv6 transmission protocol could restrict market performance. The global industry is categorized on the basis of technologies, applications, and regions. The technology segment comprises Radio Access Technologies (RAT), Wi-Fi, High-Speed Package Access (HSPA), Global System for Mobile (GSM), and Worldwide Interoperability for Microwave Access (WiMAX). Applications include healthcare, government & utilities, retail, individual users, offices, and defense& military. Owing to high investments in research & development, the application segment is led by government & utilities. Geographically, the global 5G technology market is divided into Europe, North America, Asia Pacific, and Rest of the World. The U.S. market is estimated to grow robustly during the forecast period. This is because of increasing subscriptions in the region. The Asia-Pacific market too will register significant growth. Various countries such as China, Korea, and India will invest huge sums to support ongoing developments and initiatives in 5G technology. The government of United Kingdom is expected to launch its 5G strategy by 2017. In its recent budget, the government focused on the significance of mobile spectrum and prepared the nation to receive the new technology. The growing need for faster internet in China will stimulate the 5G market in this region. Even the Indian government has spent USD 5.5 million over the last couple of years on 5G technology. This investment was primarily directed towards advanced research and development. Most companies operating in this market strive to introduce novel technologies to gain competitive advantage. Also, countries, such as Japan, are planning to exhibit their innovations during the 2018 winter Olympics and 2020 summer Olympics. Key players in the 5G technology market are Verizon Communications Inc. (U. S.); Nokia Networks (Finland); Samsung Group (South Korea); AT&T Inc. (U. S.); The Fraunhofer Society (Fraunhofer-Gesellschaft); NTT DoCoMo Inc.; Qualcomm Inc. (U. S.); Alcatel-Lucent S. A.; Huawei Technologies Co. Ltd. (China); and Telefónica S. A. In 2014, Ericsson signed a deal with SK Telecom Co. Ltd. for 5G technology research and development. With a view towards ensuring a strong standardized network, various public bodies such as the Institute of Electrical and Electronics Engineers, the ITU, 3GPP, and a few universities have been adding value to the 5G technology industry. 16 November 2018, The Global Citric Acid Market is expected to reach USD 5.73 billion by 2024 driven by its increasing use in food & beverages and household detergents & cleaners. 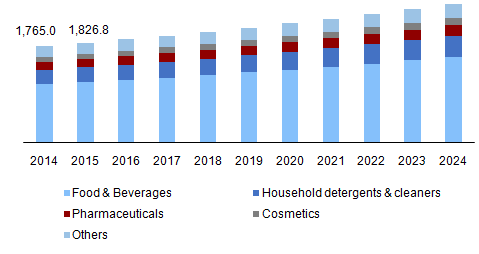 The growth of these end-use industries, particularly in emerging economies of Asia Pacific region, is anticipated to boost the growth of the chemical over the projected period. 15 November 2018 , The China Bioprocess Instruments Market is expected to reach USD 3.06 billion by 2024 owing to the improving economy, rising aging population and increasing prevalence of chronic diseases. Moreover, increasing demand for single-use instruments in disposable applications is anticipated to augment the growth over the projected period. 14 November 2018, The Global Aerospace Plastic Flame Retardant Market is anticipated to reach USD 29 million by 2022. Increasing demand for plastics, because of lesser airframe weight as well as fuel savings is expected to drive market growth. Rising air traffic and evolving security standards will also have a positive influence. The aviation industry is growing on account of new trade routes, escalating income levels, and changing lifestyles. This is fueling demand for plastic flame retardants. However, fluctuating prices of key raw materials, such as phosphorous, nitrogen, and aluminum, could threaten industry growth. The market is categorized by products, applications, and regions. Products include Aluminum Trihydrate (ATH), antimony oxide, boron compounds, organophosphates/phosphorous, and others. ATH accounted for 40% of the overall demand in 2014. Ammonium polyphosphate, red phosphorous and other organophosphates came up as the fastest-growing products in the same year. Organophosphates compounds are anticipated to register the fastest growth (CAGR over 6%) over the forecast period (2015-2022). Based on the applications, the global aerospace plastic flame retardant market is divided into Carbon Fiber Reinforced Plastics (CFRP), Glass Reinforced Plastics (GRP), thermoset polyimides, polycarbonates, epoxies, acetal/POM, and others. Others comprise polybutylene terephthalate (PBT), polyphthalamide (PPA), and polypropylene (PP). CFRP was the biggest application, occupying 30% of the total volumes in 2014. It would grow at the fastest rate (CAGR exceeding 6%) over the next seven years. Polycarbonates sector may also experience high demand due to properties such as high transparency and optical clarity, along with tremendous toughness. Regional segments consist of Europe, Asia Pacific, North America, and RoW (Rest of the World). Europe, with 44% of the global demand, was the largest regional market in 2014. It is home to leading airline groups (Airbus, Boeing, Rolls-Royce Holding, etc.). However, stringent monitoring of European airspace and the manufacturing industry is resulting in lesser production of halogenated retardants. Asia-Pacific could be the fastest-growing regional market (CAGR of 7%) during the forecast period. This may be attributed to a robust aviation sector and rising disposable incomes in developing countries like India, Indonesia, Thailand, Vietnam, etc. 14 November 2018, Volumes in the Global Anti-Reflective (AR) Coatings Market are estimated to be over 510 kilo tons by 2024. With a CAGR exceeding 6% from 2016 to 2024 (forecast period), the market would be valued about USD 6 billion in 2024. Demand for AR coatings is mainly pushed by higher preference for anti-glare & anti-reflection lenses/eyewear. The consumption of such coatings in optical and electrical/electronic applications has created huge industry opportunities. These applications should trigger further demand in the near future. The advantages of AR coatings include back glare removal, improved transmittance, and lower reflectance. Their use delivers much better picture quality on devices; like monitors, televisions, etc. Moreover, AR coatings can capture clearer and ‘close-to-real’ images from optical lenses. Chief factors favoring the market are burgeoning worldwide population and the need for ‘vision correction.’ Boom in electronics & semiconductor industries coupled with expansion across flat panel displays is expected to positively impact market consumption. Focus on renewable energy is projected to create new avenues for AR coatings. Owing to their anti-reflective properties, they could become integral to solar panels in the forthcoming years. However, consumers in the Anti-Reflective Coatings Market are not fully aware of the uses and benefits of these products. This inhibits market growth. Furthermore, soaring prices of key raw materials, like magnesium chloride may have an adverse effect. The industry is split on the basis of end-users and geographies. Electronics, telecommunications, eye-wear, automotives, and solar constitute the end-users. Eye-wear dominated in 2015. The demand for ‘anti-reflective’ spectacles and lenses is proliferating due to superior optical experience offered by AR coatings. Consumers are willing to spend more on comfort and higher visibility, especially while driving at night. Electronics was the second-largest segment in 2015. It is said to grow lucratively during the forecast period. AR coatings are mainly used in smartphone displays and flat glass panels. They are also incorporated in semiconductors. Solar would grow at the fastest rate till 2024. When used in solar panels, AR coatings transmit more light and curb its reflection. Geographically, the Anti-Reflective Coatings Market is divided into North America, Asia Pacific, Europe, Latin America, and the MEA (The Middle East & Africa). North America has been leading since 2013. This can be attributed to abundant demand for flat panel displays, lenses, and eyeglasses in the U.S. and Canada. Europe should generate high demand for solar panel applications. Robust automotives industry in France, Germany, and the U.K. may spur Europe. 14 November 2018, Pea protein is a food additive, majorly used in cheese and yogurt. The Pea Protein Market is predicted to grow due to health consciousness among consumers and demand of pea protein supplements. Renewed interest in gluten-free products, acceptance of meat substitutes amid the lactose intolerance levels among teens is augmenting market demand. Plant-based supplements made from wheat, canola, and soy can pose a market challenge. But development of novel products could open up new market avenues. The global pea protein market is segmented according to products, applications, and regions. Products include textured pea protein, isolates, and concentrates. Meat substitutes and sports nutrition supplements are manufactured using isolates. This can be on account of high amino acid content, high solubility, and good water binding. Textured pea proteins are heavily used in dairy supplements and beverages owing to their similar appearance to meat. Pea concentrates used in beverages, aquafeed, and foods constitute about 75% protein. Dietary supplements, sports supplements, meat substitutes, nutraceuticals, and others are major market applications. Dietary supplements are the largest application of the pea protein market on account of consumer awareness about nutraceuticals. Concerns regarding meat allergies will spur the demand for meat substitutes. It will be the fastest growing application over the forecast period (2016-2024). Regions covered under the market are Latin America, North America, Middle East & Africa (MEA), Asia Pacific, and Europe. North America is a major region for the industry due to concerns of cardiovascular diseases and the booming sports industry. Rising cases of lactose intolerance will see major growth in Europe. Asia Pacific can experience a major demand boost due to consumption of nutrient-based foods and supplements. New regulations in the agricultural industry in China & India would see an upsurge of raw material to pea protein manufacturers. Major players of the pea protein market are Roquette Frères, Shandong Jianyuan Foods Co., Ltd., Burcon Nutrascience Corporation, and Shandong Jianyuan Foods Co., Ltd. They have formed alliances with domestic distributors to ensure a steady product supply in high-demand regions. Roquette Frères produces pea proteins under the brand name – NUTRALYS. Burcon, on the other hand, has managed to manufacture vegetable-based protein which is transparent and 100% soluble. 17 October 2018, The Europe Fuel Card Market is expected to reach USD 264.95 billion by 2024 owing to the rising demand for cashless transactions, and availability of add-on benefits. The evolution of technologies in the payment industry has made people more inclined towards smart payment options which ensures a track on their spending as well securely. This increased need for safe and reliable digital payment is expected to drive the fuel card industry in Europe over the next few years. Fleet managers have been looking for viable real-time solutions to ensure appropriate tracked spending. The fuel cards not only provide with the discounts and rebate but it also comes with online reporting tools which provide fleet managers with in-depth data as to where their fuel card has been used, who used it and for what purpose. Managers also can limit the fuel card spending real time. The loyalty program provides drivers with fuel points on their purchase. It also has different advantages such discounts on non-fuel items, offers, and gifts. Thus, is expected to boost the fuel card industry. Fuel cards prevent theft; hence, they help fleet managers reduce unaccounted spending. A fuel card is accessed using the secured pin and driver is obliged to show his identity proof while using. Thus, it helps prevention of theft in employees and is expected to drive the fuel card industry in the near future. The universal card has penetrated the European market and fleet managers are inclined to use it due to the various benefits it offers. 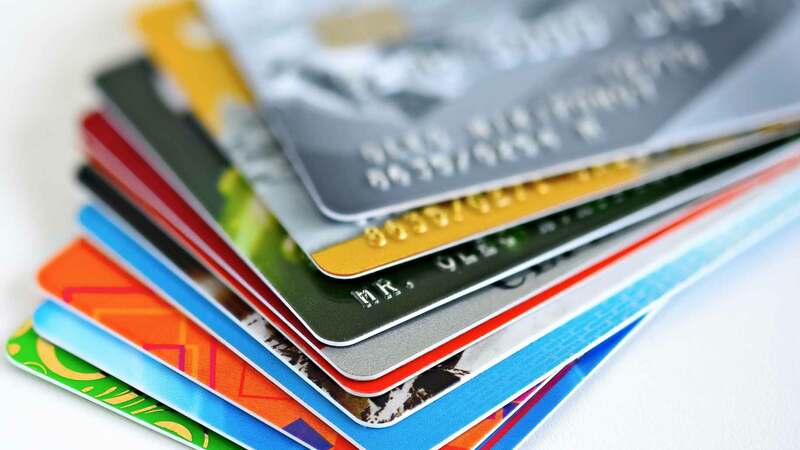 Branded cards from the oil companies such as ESSO, BP, and Shell are widely used and hold second largest market share in the forecast period. 16 October 2018, The Global Synthetic Diamonds Market is estimated to be worth USD 28.26 billion by 2024 as a result of its increasing demand for cutting, polishing, and drilling. Increasing utilization of these functions for development of infrastructure coupled with the growing spending on the sector is likely to propel market growth over the projected period. Expansion of the electronics and healthcare production base in countries including India and China is expected to provide new opportunities for the development of the market. Presence of manufacturing bases of companies including Samsung, Apple, Sony, Abbott, and GSK in Asia Pacific is expected to drive the demand for synthetic diamonds in various industrial applications. North America synthetic diamond market was valued at USD 3.89 billion in 2016 and is expected to witness above-average growth in light of rebound of the manufacturing sector. However, the presence of a stringent regulatory framework for the mining sector is likely to deter growth. Nonetheless, usage of synthetic diamonds in the existing mining processes is expected to support the market. Asia Pacific is likely to witness the fastest growth at a 9.1% CAGR over the projected period owing to the tremendous untapped potential of the manufacturing sector in the region. Increasing use of synthetic diamonds in various manufacturing processes owing to their relatively low cost and ease of availability. Polished synthetic diamond market is anticipated to grow at a CAGR of 8.3% over the projected period on account of their relatively low demand in industrial application. However, the increasing use of these stone in jewelry coupled with the rising consumer awareness regarding fashionable accessories is expected to open new avenues for the growth of the market.